This field trip is free for all attendees. 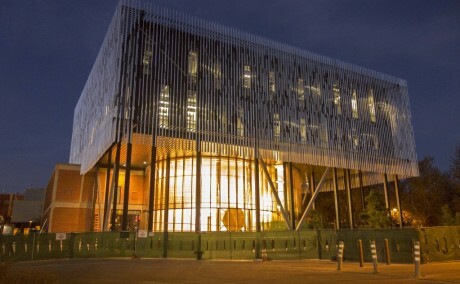 Join UA Tree-Ring Research Specialists on a tour of the Laboratory of Tree-Ring Research on the University of Arizona campus. Established in 1937 by A. E. Douglass, founder of the modern science of dendrochronology, the Laboratory of Tree-Ring Research is recognized worldwide as a preeminent center for the advancement of tree-ring techniques and the broad application of dendrochronology in the social and environmental sciences. There is no trip fee for this tour, but reservations are required so the appropriate number of docents can be secured. Children are welcome. Visitor parking is available at the Sixth Street Garage. Parking is also located at the Highland Avenue, Main Gate, Second Street, Park Avenue, Sixth Street, Cherry Avenue, and Tyndall Avenue Garages from 5am - 8pm on a space-available basis.